The far north-west tip of Britain is so remote that for the past 100 years it has been used by the military as a bombing range. Garvie Island, off the Scottish coast is the only place in Europe where British and Nato forces can drop live 1000lb bombs. 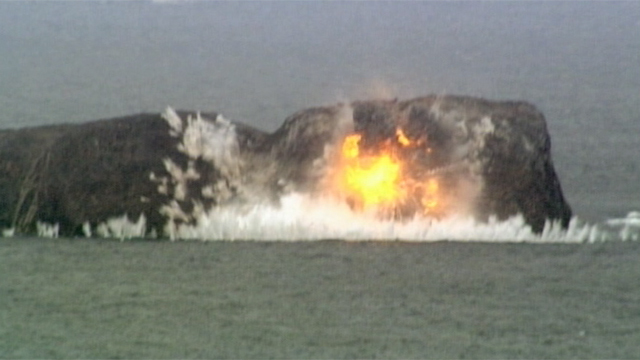 Explorer Paul Rose and a team from the BBC Two programme Britain's Secret Seas went to see how the water around the island is the ideal training ground for one of the riskiest jobs in the military - bomb disposal underwater. Britain's Secret Seas continues on Sunday 15 May, BBC Two at 2000 BST.